Ideal for traveling and dining out or for those unable as yet to afford a water ionizer, AMC Alkaline Drops are unique and superior because they can maintain a strong alkaline pH in water long after other brand drops fail. The AlkaPod is a portable water dispenser that converts regular water into filtered, alkaline and ionized water that anyone can drink anywhere, anytime. The AlkaPod uses 13 types of minerals in its filter including Tourmaline, Zeolite and Maifanshi stone. 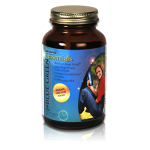 Essentials Blue Green is a 100% pure AFA super food concentrate. Nature's most perfect whole food nutrition. 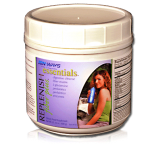 Essentials Replenish Fiber Plus is formulated to gently cleanse, purify, revitalize and rejuvenate your entire digestive tract. Don't Be fooled by the Imitation Knockoffs. VitaShower SF1 is the Original and ONLY shower filter that removes Chlorine and Chloramines through natural vitamin C filtration. 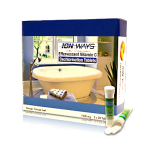 Effervescent Vitamin C Dechlorination Bath Tablets completely eliminated dry, itchy skin caused by chlorine in your bath or spa. 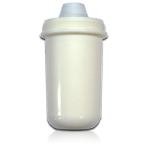 Vitabath effervescent vitamin C dechlorination tablets are composed of ascorbic acid, citric acid and sodium bicarbonate. Detoxify as you sleep! Acupeds Detox Patches are a natural detoxification product designed to gently and effectively absorb heavy metal toxins from your body – at night while you sleep. 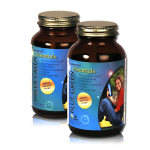 AMC Alkaline Drops AMC Alkaline drops are an alkaline concentrate. 4 to 6 drops per 8 oz of drin..
Essentials Replenish Fiber Plus is formulated to gently cleanse, purify, revitalize and rejuvenate y..
Essentials Blue Green Algae is a 100% pure AFA super food concentrate. Nature's most perfect whole ..
Special grouping of Essentials Blue Green Algae products, with one bottle of Flakes and one bottle o..
Detoxify as you sleep! 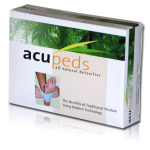 Acupeds Detox Patches are a natural detoxification product designed to gently..
Effervescent Vitamin C Dechlorination Bath Tablets completely eliminated dry, itchy skin caused by c..
AcuRest™ is a natural, drug-free answer to sleep related problems and are used to prevent and reliev.. The Vitashower is an environmentally conscious, 100% organic Radiant Wash Shower Filter Replacements..
Vitashower SF-1 Vitamin C Shower Filter Don't Be fooled by the Imitation Knockoffs. VitaShower SF1 I.. 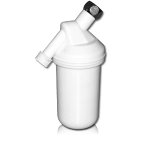 The AlkaPod is a portable water dispenser that converts regular water into alkaline and ionized wate..